Transformation animations in Kingdom Hearts 3 are a part of the games spectacle. The KH3 Transformation animations play every time you perform the transformation move. It’s cool and all, but it can get really tiresome after a while. So, some people have been wondering how to turn off the Kingdom Hearts 3 transformation animations. For those of you that are tired of watching these flashy scenes, here’s our Kingdom Hearts 3 Transformation Animations – How to Turn Off guide to show you how to turn them off, or, at the very least, tone them down. Because, sometimes, you just want to get back into the fight fast. 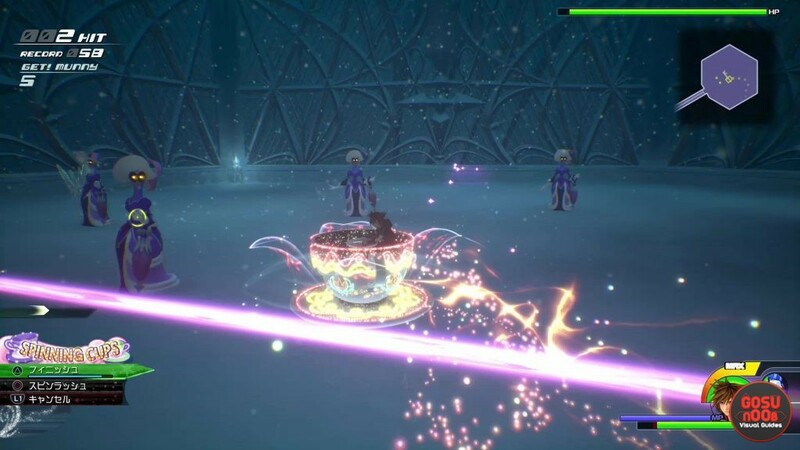 How to Turn Off Transformation Animations in Kingdom Hearts 3? To turn off the Transformation Animations in Kingdom Hearts 3, go into Config. From there, scroll down to the Keyblade Animations option. There are three settings to choose from here. One includes the whole shebang – the transformation, swooping camera angles, the works. The second tones the spectacle down a bit – you still get the lengthy animation, but at least the camera stays still. The third option is what you want. With this one, when you transform, you’ll see an explosion, and the weapon will be ready to go. Admittedly, it still takes a split second. That said, you can be back in the fray much more quickly. Side note: There’s also a way to skip both Attraction and Link animations, if those annoy you, too. Just press Square if you’re on PlayStation 4, or X on the Xbox One. Honestly, I wouldn’t blame you in a million years if you ended up growing tired of all the animations. Sure, all of the explosions and fireworks look really cool in the beginning. However, after some ten plus hours, it gets so very tiresome. You just want to get back into the combat; the animations kinda end up getting in the way. That’ll about do it for turning off transformation animations in Kingdom Hearts 3. If you need help with something else, head over to one of our other Kingdom Hearts 3 guides. We have Golden Herc Figure Locations – Hercules Collectible, 100 Acre Wood Secret Entrance – Hunny Spout Keyblade & Home Again Trophy, and Arendelle Lucky Emblem Locations – Hidden Mickeys, among a number of others.